Raising the gas tax – overtly – is politcal TNT. Chiefly because it’s a tax everyone feels, every day – and it’s an extremely disproportionate tax already. About 50 cents per gallon – which amounts to a roughly 20 percent tax added to the cost of every gallon of fuel. The government makes (takes) more money off each gallon than the Evil Oil Companies earn from the sale of each gallon. Yes, really. The gas tax is also extremely regressive, in the language of the politically correct. It hits those least able to afford the cost the hardest. So how to raise it covertly? By raising the mandatory minimum octane rating. 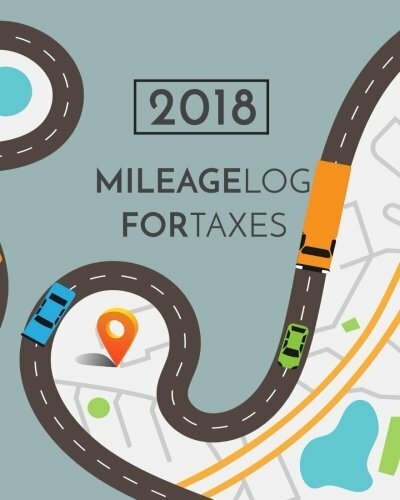 2018 Mileage Log For T... Dartan Creations Best Price: $8.17 Buy New $6.99 (as of 12:30 EDT - Details) This is being urged by the car companies, who would like to be able to design all their engines to be high-compression engines, which are more fuel-efficient engines – but require high-octane fuel to achieve the efficiency gains. And because it’s a cheaper way for them to achieve compliance with Uncle’s fuel efficiency fatwas. A roughly 3-4 percent uptick in MPGs can be obtained via high-compression (and turbo-supercharging) engines without resorting to more expensive engineering extremes, such as transmissions with 10 speeds, three of them overdrive. Or direct injection, with a port fuel injection system in addition and added solely to deal with the carbon fouling problems caused by the direct injection. Or light weight but easily damaged, more expensive and harder to repair alloy bodies. Etc. The ethanol lobby wants it, too – because it’s a clever way to obfuscate the currently-too-obvious crony capitalist corn con, which operates under the auspices of the Renewable Fuel Standard. The RFS is a federal mandate that the nation’s fuel supply be adulterated with “renewable” fuels, in the name of conservation. In fact, it is a government mandate to feed our cars ethanol, which is made from corn. Which costs more to turn into alcohol than oil into gas – and won’t take your car as far on a gallon, either. It’s a billion dollar business, if you can use that word without feeling the bile rise in your throat. Are We Reaching Another ‘Margin Call’ Moment?